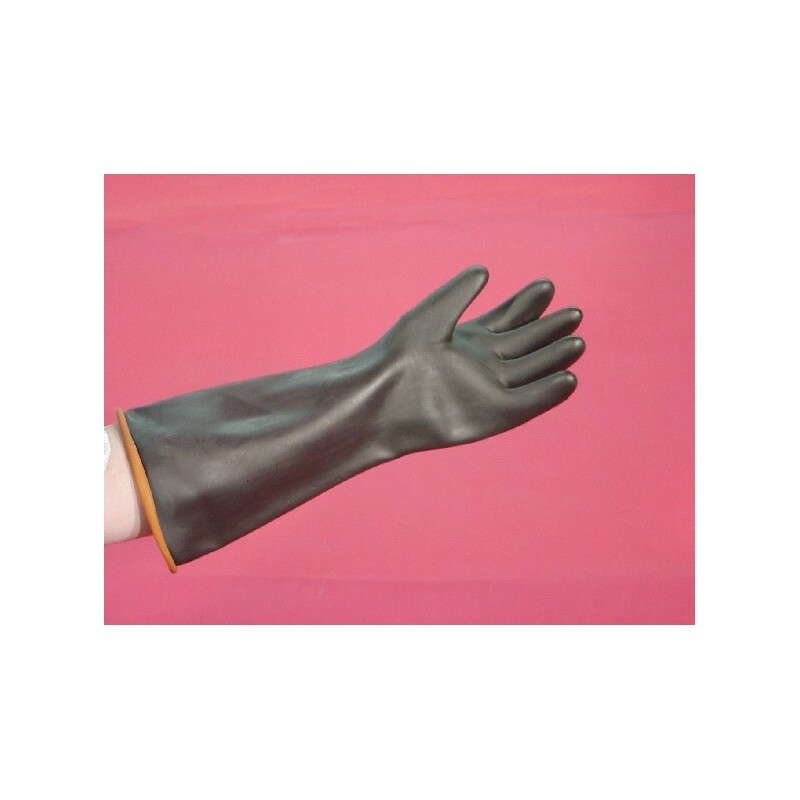 Thick neoprene SAF-T-CURETM GAUNTLET GLOVES offer superior performance in many acids, solvents, oils, caustics and greases. At 40 mil, the Gauntlet gloves extra thick body provides high cut resistance, but may not withstand abrasion as well as other gloves. 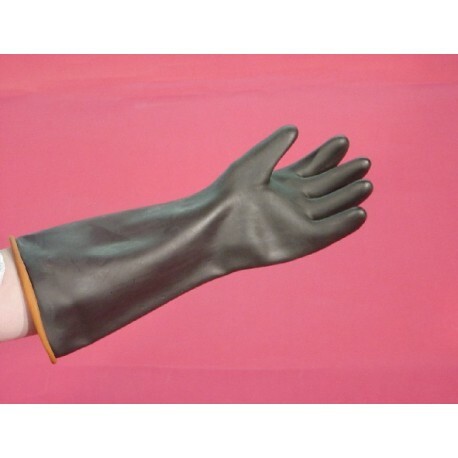 Good for high or low temperature extremes from 50-300F. Smooth finish. 40 mil thickness. Sold by the pair. Specify 14" or 18" length. HEAVY USE: Offer superior protection when used with many acids, solvents, oils, caustics, and greases.